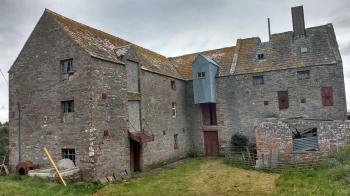 The John O'Groats Mill Trust is a not-for-profit organisation seeking to bring the Mill building into community ownership. OVER £500,000 FOR FOUR COMMUNITY OWNERSHIP PROJECTS. A sports hall in Easterhouse, a disused mill in John O'Groats, an area of amenity land in Strathpeffer and a stretch of foreshore on the Isle of Skye will soon be in the hands of local people as four community groups receive financial support from the Scottish Land Fund. Announcement of the grants was made by Minister, Cabinet Secretary for Land Reform, Roseanna Cunningham.